South Korea's flagship air carrier Korean Air has suspended Cho Hyun-min, a company executive and daughter of the firm's chairman, over allegations that she yelled and threw water at a manager of a marketing firm. 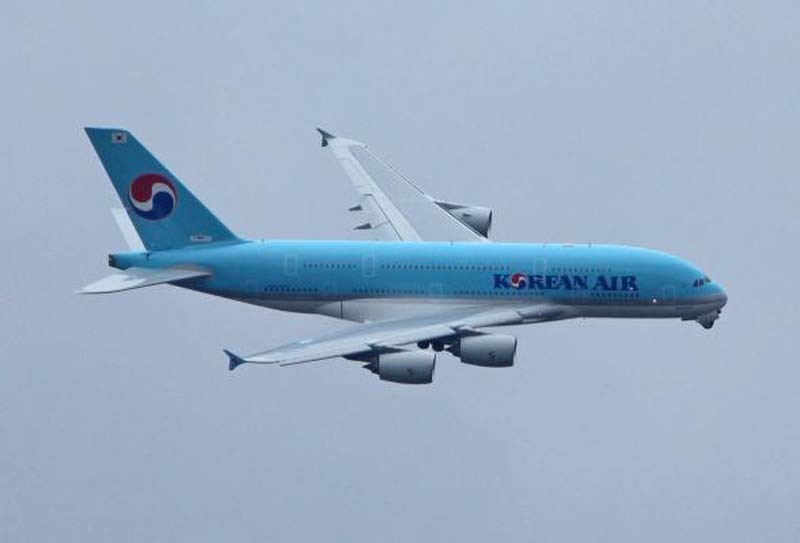 The airline said Monday that the senior vice president had been relieved of her duties while police investigate the complaint, JoongAng Ilbo reported. Cho is the younger sister of Cho Hyun-ah, who made global headlines with the so-called "nut rage" scandal in 2014. Cho Hyun-ah had ordered a Korean Air plane to return to the gate and made a flight attendant kneel and beg for forgiveness after serving a bag of nuts in a package instead of on a plate. She received a suspended sentence of 10 months and was also sued in a New York court. Seoul police began a preliminary probe into the incident involving Cho Hyun-min Friday, and said Monday that investigators began questioning officials from the ad agency, as well as Korean Air to review arguments from both sides. The 35-year-old heiress is accused of losing her temper with the advertising manager during a business meeting in her office last month when he couldn't answer her questions. Returning home from a trip on Sunday, Cho Hyun-min told reporters at Incheon Airport that she was sorry for her foolish behavior. She acknowledged pushing the man but denied throwing water. She also emailed an apology to all Korean Air employees, saying she will take the opportunity for self-reflection. If investigators determine that Cho Hyun-min threw the glass cup at the ad manager, it could be considered assault involving hazardous objects, Yonhap reported. If they believe she only hurled water at the alleged victim, the case would amount to common assault. Unionized workers, including Korean Air employees and members of the Korean Air Pilot Union, demanded her instant removal.